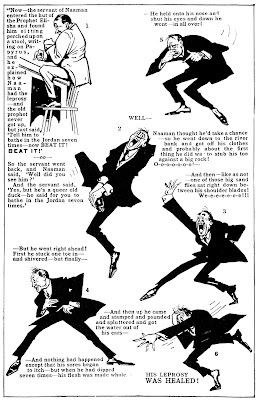 I've been going along chronologically - on the blog I'm in 1915, but I'm working on the new book which is 1917, and I just ran across this wonderful cartoon in which Gimpel Beynish observes and enjoys the eccentric real-life preacher "Billy Sunday," who began his career in the mid-West but visited New York City in 1917. It cracked me up so I couldn't wait to share it with you. As you can read in Wikipedia, Billy Sunday was a popular outfielder in the National League during the 1880s, then found religion and became an evangelist. After he and his wife entrusted their children to a nanny so Nell could manage the revival campaigns, she transformed her husband into a "nationally renowned phenomenon." By the New York campaign of 1917, the Sundays had a paid staff of twenty-six. "Sunday gyrated, stood on the pulpit, ran from one end of the platform to the other, and dove across the stage, pretending to slide into home plate. Sometimes he even smashed chairs to emphasize his points." 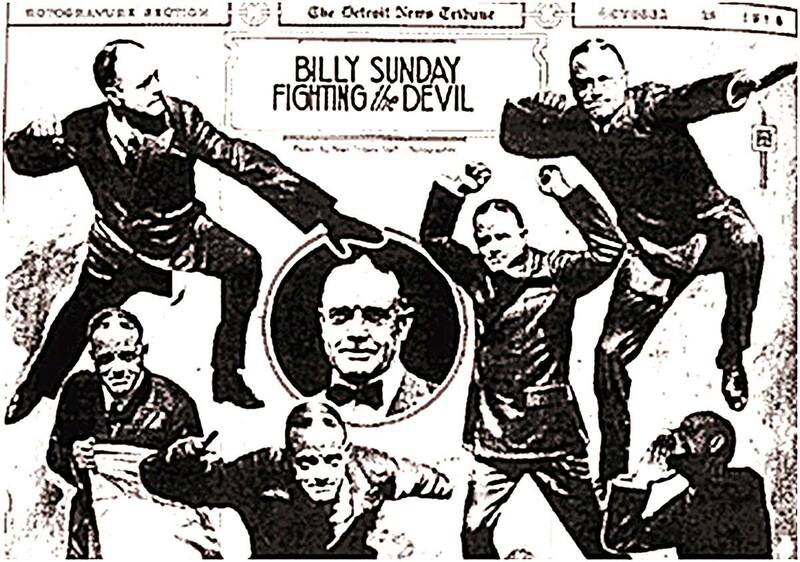 I think maybe the point here is that, while eccentric, Billy Sunday was incredibly successful, ie, laughing all the way to the bank. 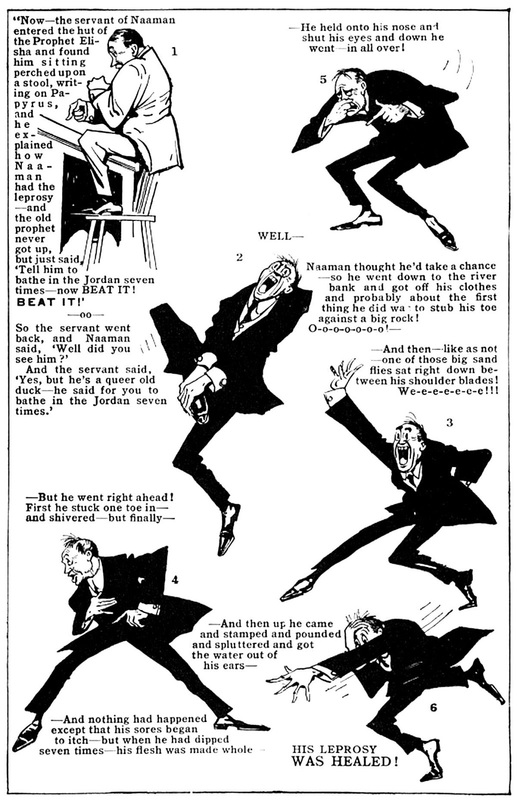 April 11, 1917: He's really no fool, that's why he's a prophet. GB: You don't recognize me? That amazes me! I'm Gimpel Beynish, you know, and now: what's your real name? Stranger: of Hell, of demons and evil spirits, of ... of everything in the world which is angry and bad and despicable. GB: You are! You shoot nails! Over a collection. Now I know, you're no other than Billy Sunday. קײן נאַר איז ער טאַקי ניט, דערפֿאַר איז ער אָבער אַ נביא. גימפּעל בײניש: איהר קענט מיך ניט? דאָס איז טאַקי פֿאַר מיר אַ װאונדער! איך בין גימפּעל בײניש, יונאָו, און איצט: װי איז איהרענס װערטהען נאָמען?